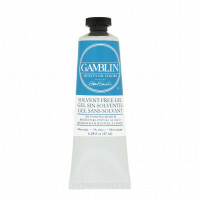 Gamblin Oil Painting Ground makes a strong, bright, non-absorbent foundation for oil paintings. 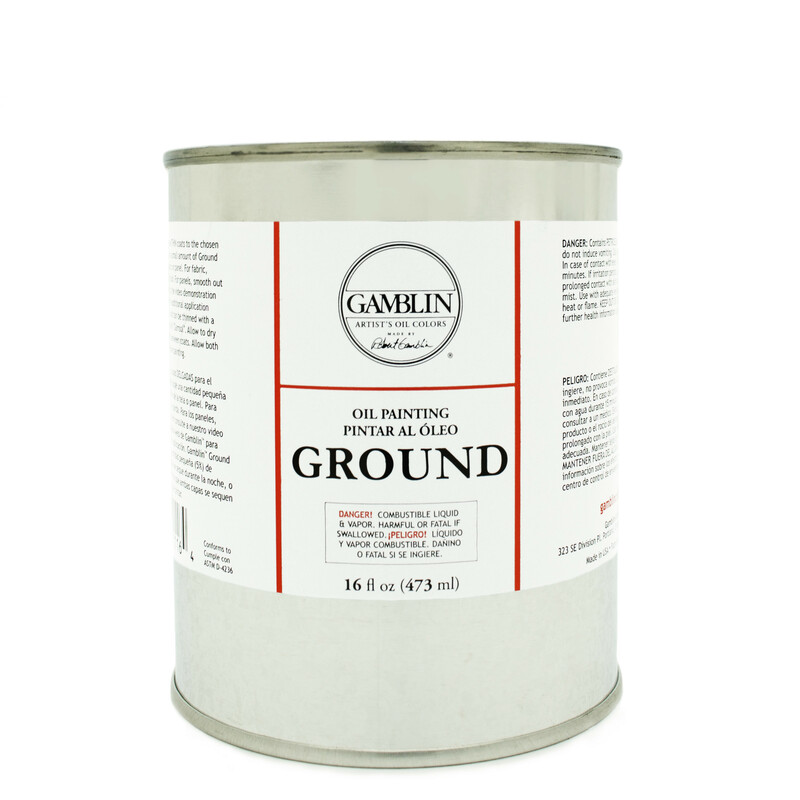 Formulated from alkyd resin, titanium dioxide, and barium sulfate, Gamblin Ground makes canvas and linen stiffer than acrylic “gesso” and more flexible than traditional oil primers. Barium sulfate gives Gamblin Ground its tooth. 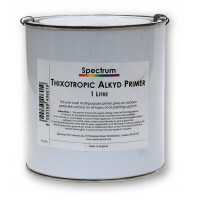 Titanium dioxide gives Gamblin Ground its opacity. 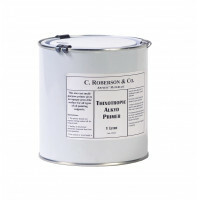 Because the percentage of pigments is so much higher than in acrylic “gesso”, painters need only apply TWO coats of Gamblin Ground instead of the recommended four coats of acrylic. 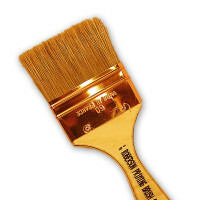 More coats can be added for smoother painting surfaces. 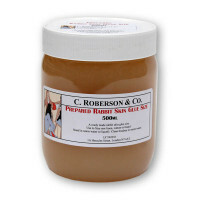 Because alkyd resin is used instead of linseed oil as the binder, Gamblin Ground is more flexible and dries more quickly than lead/linseed oil grounds. 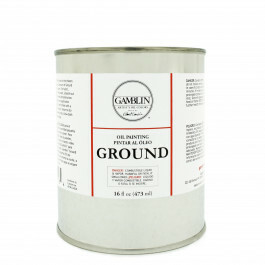 Lead/linseed oil grounds must dry for six months and Gamblin Ground is ready for paint application within a week.